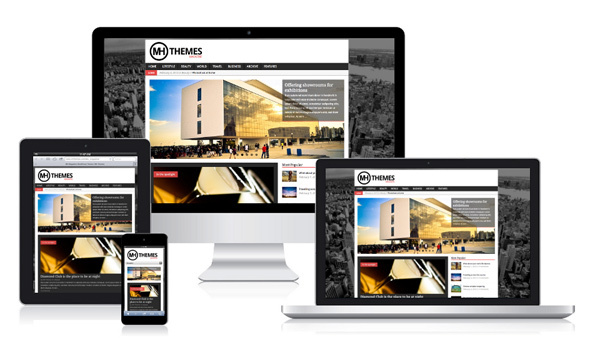 Best Responsive Blogger Themes are considered extremely friendly because the platform requires only your presence. Register a new blog and you are ready to go. With tools that it provides you can edit the text, put some widgets on and make it unique. That’s why so many users remain loyal to it. You can easily find some beautiful Responsive blogger WordPress Themes but to find free blogger templates with beautiful design & features is quite difficult. So here we plays an important role of reducing your burden by finding some best free blogger templates of 2018 for you. If you reached a certain level as a blogger, than you may want to make the next step and buy a custom layout. The first thing you should check in a Blogger template is the design, because this is the first thing your visitors will see. If you have good coding skills, you can try designing it yourself using CSS code. If you are a basic user and you want to save your time, than a ready to use solution will be just fine. You should consider the topic of your blog, and being driven by this aspect, choose the right theme. 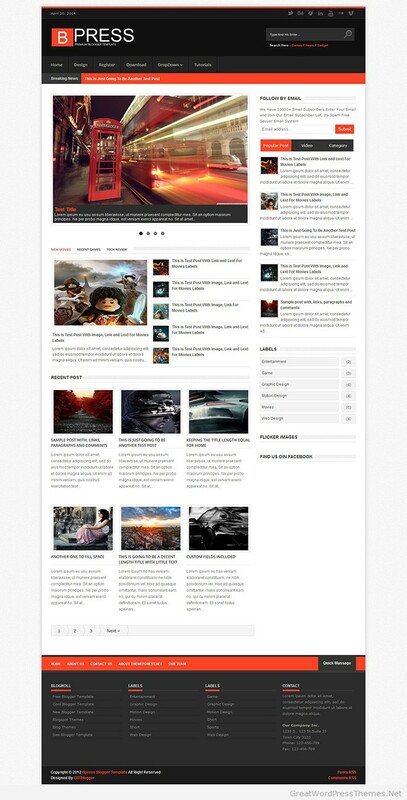 We thought that it will be a nice idea to pick some of the best responsive Blogger templates and make a list. That’s why, below you can find 24 themes that will satisfy your needs and will make your blog an online authority. 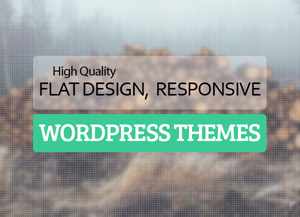 On our blog you can find some simple Tumblr themes and some of the best business WordPress themes. 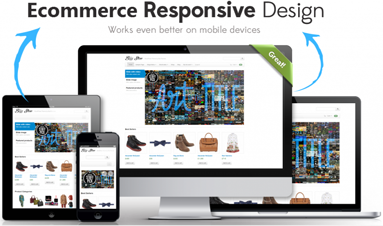 Quickly through the posts and of course it’s written in the newest standards of HTML5 and CSS3! It’s focus on user-experience, usability, and beautiful typography and it will shows you how cool and flexible Blogspot Portfolio and Photography template can be. 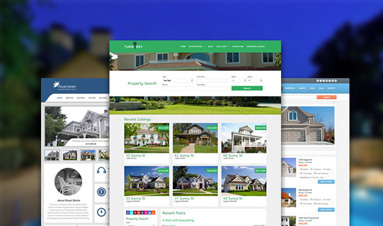 Provia is a easy, fashionable and professionally designed template for any individual who needs to make nice website online or web companies. This template is ideal possibility for newspaper, journal, editorial, private weblog, leisure (film, tune and images), and portfolio. 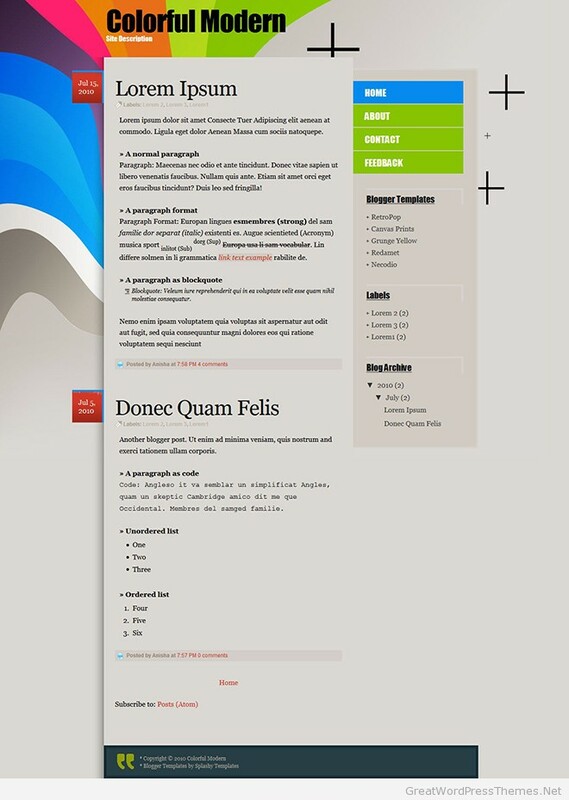 Maxxiz is a beautiful and flexible layout. Its design is simple, clean and perfect for magazine or portfolio websites. With an attractive color combination and impressing professional features. 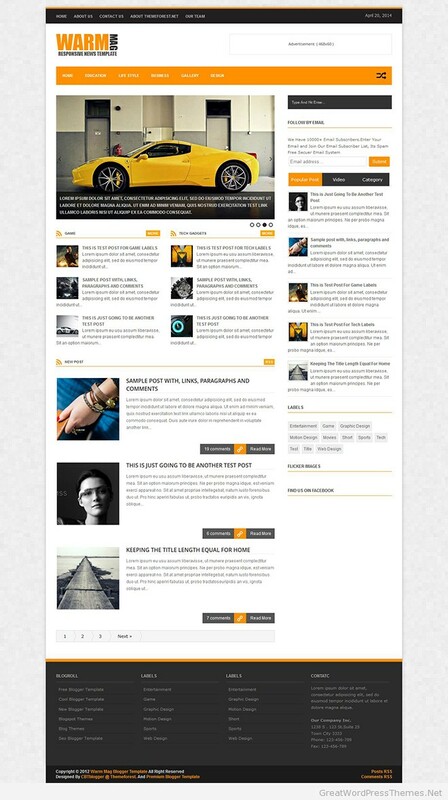 It is considered one of the best responsive Blogger templates. 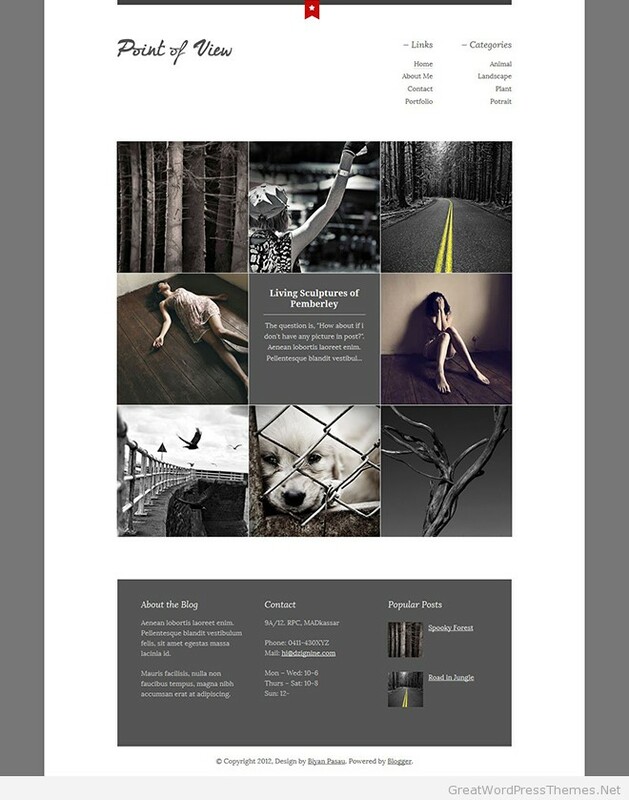 Photorama is a Responsive Multi-Layout Photography WordPress theme. 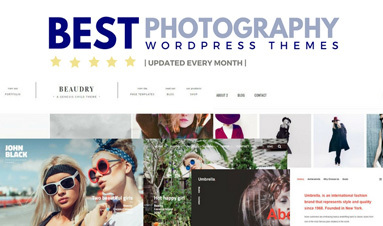 It is a great theme for photographers, portfolio presentations, art agencies, or even for bloggers. Photorama will give a best-looking appearance and exposure to your work thanks to the unique design and page speed. This kind of magazine responsive Blogger templates will help you create a powerful blog that will attract the attention of your visitors. A wide rage of features is available for your consideration. 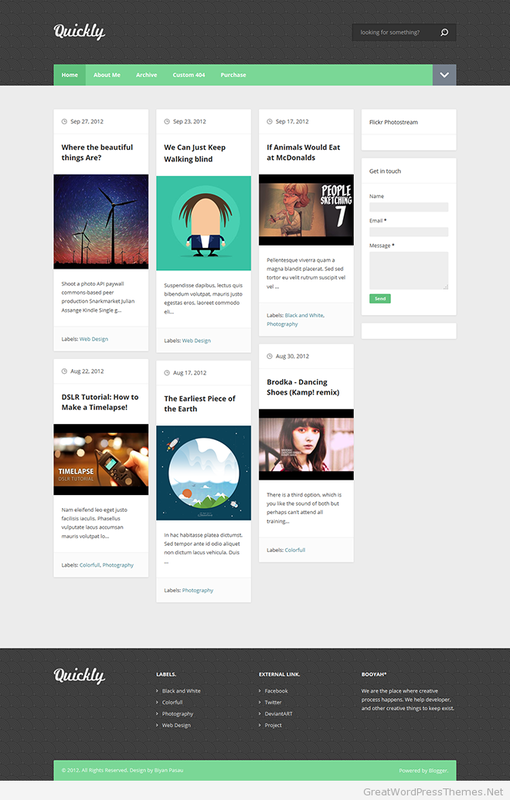 GreenB is one of the best responsive Blogger templates. 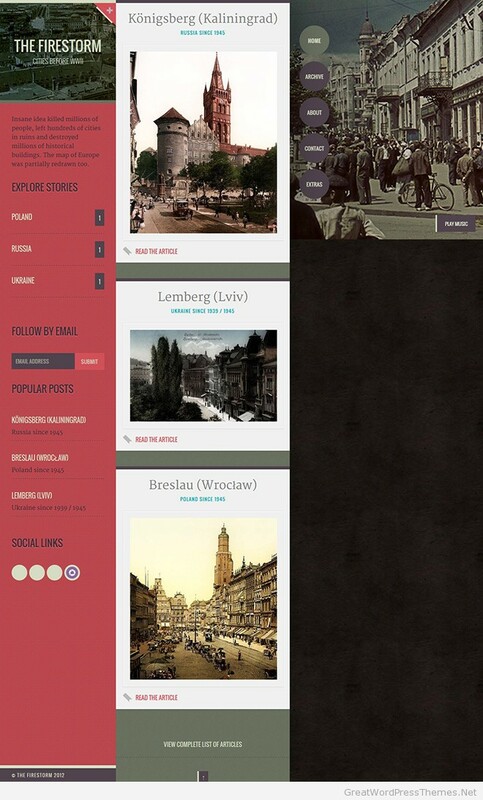 You can use it to show your portfolio combine with your blog articles. Background, color and font customization by advanced editor will allow you to have unlimited colors for your template just with few clicks. 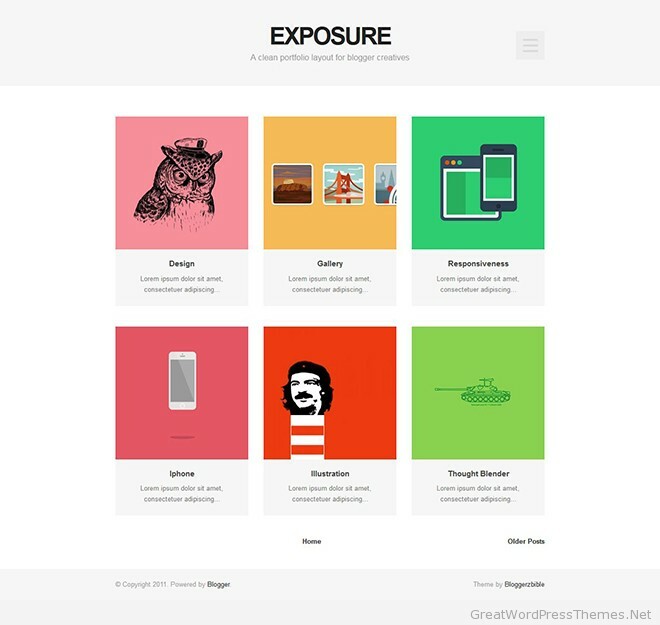 Exposure is a unique Blogger template with tons of unique feature which you will not find in any other theme. It comes in compatible with the unique thumbnail cropper tool. The tool helps you to easily crop image pixels, which then are used for the thumbnails being displayed on homepage. Syahira is theme that comes packed with: Support Blogger Template Customize Editor, Lightweight Auto read-more (support third-party image, and Youtube Thumbnail), Cool blogger threaded comment (Support Google+ Comment), Ajax Related Post Widget, Ajax Recent Comment Widget, etc. There are no many templates that deserve your attention. 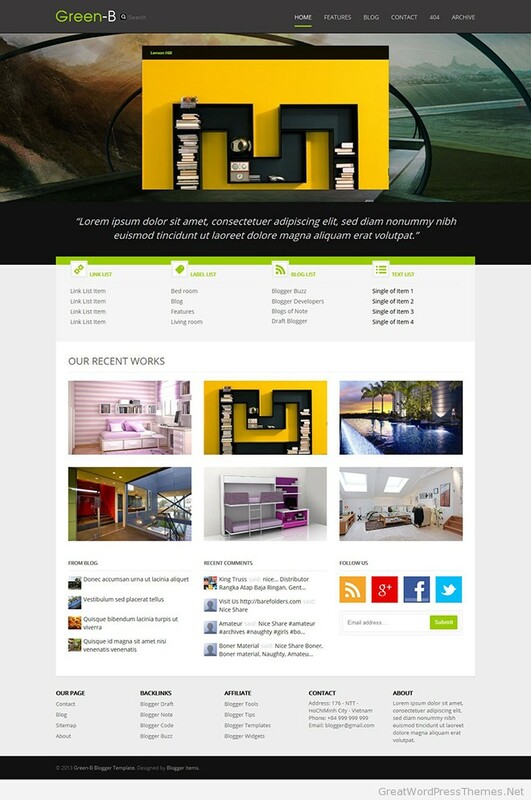 Rifqiy is a theme that is one of the best Blogger templates that can be found on the web. The Book Of Hours is classic layout Blogger template which can serve as a good platform for daily blogging or even PayPal powered web shop. It has 4 colour schemes, including: red, blue, green, yellow, 5 styled post types, 3 styled static pages including custom archive, 5 styled blogger widgets, etc. 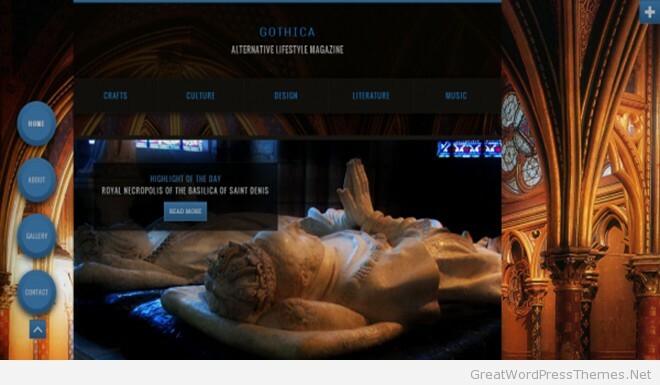 Gothica is a one page premium Wordpress Theme in a dark/goth style. 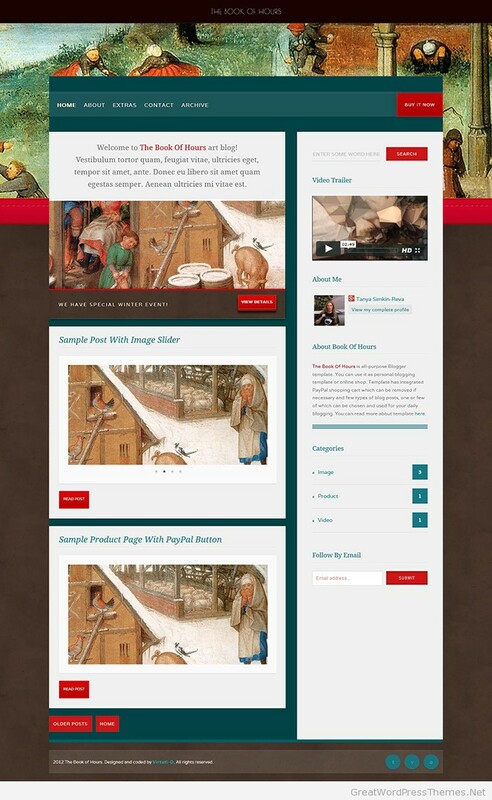 It is very flexible, with a clean & crisp design and is suitable for any kind of blog. It features a premium Page Builder which will make your life a lot easier when creating new Pages for your Site. 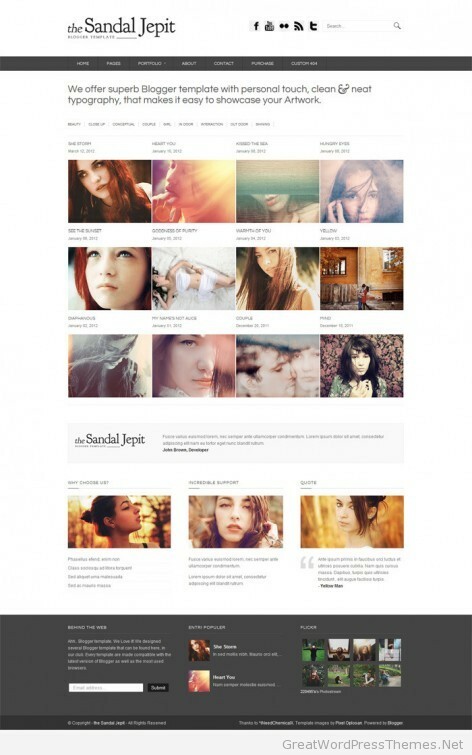 Sandal Jepit, a unique and easy minimalist Blogger template. It’s makes perfect for a variety of purposes, although focused towards Photographers and those using Portfolios to display their past and present work collections. 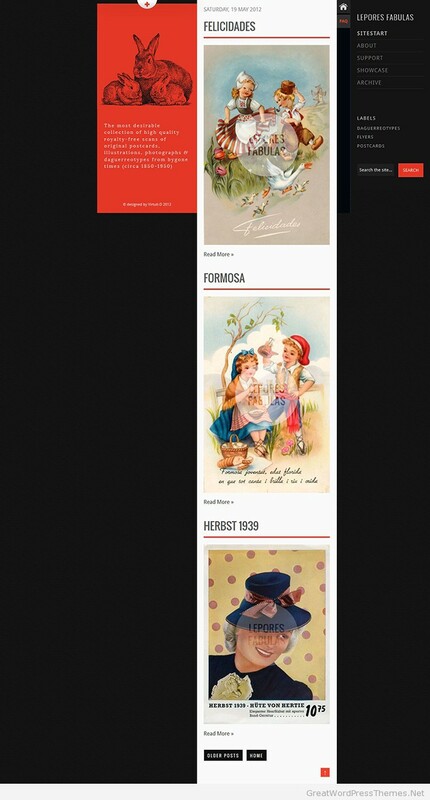 Festzeit is a clean, wide layout, accurate template done for Blogger CMS , written in HTML5 and features wide spectre of CSS3 values. 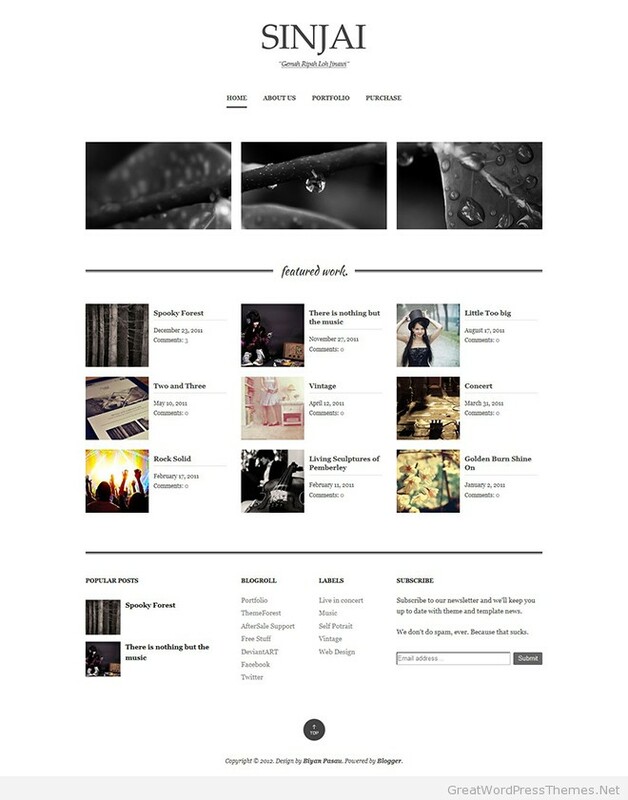 Lepores Fabulas is the premium blog and personal template for Blogger fans. We designed this template with target is that make you change your thoughts about Blogger platform.Read more: Lepores Fabulas blogger template is one of the free premium template to download in xml format.This theme is simple style with3 column,that has 1 right and left sidebar and a multi drop down menu that is more professional and fully resizable design. Colorful Modern is a 2 columns, clean and simple blogger template with a nice colorful background, custom post date stamp and pages navigation. 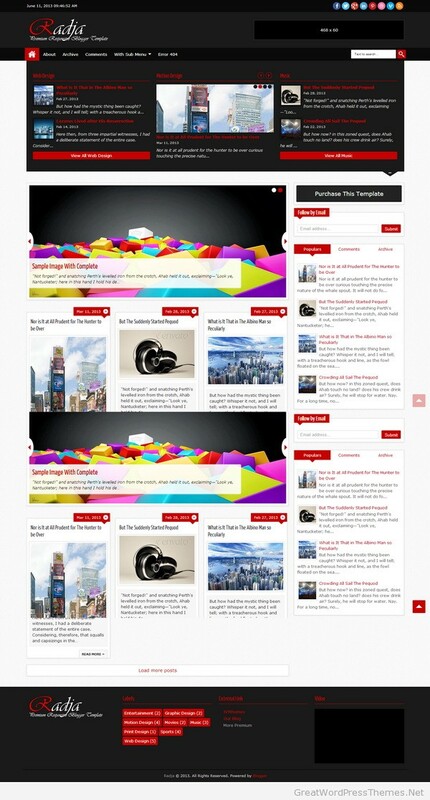 One of the most colorful responsive Blogger templates. 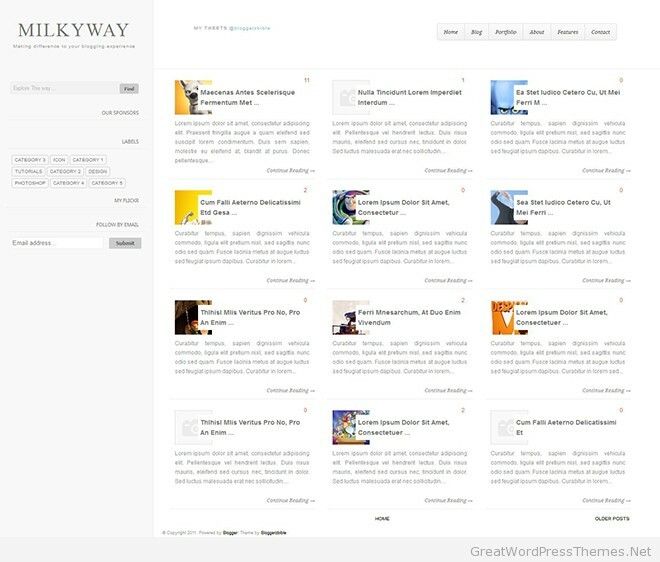 Milkyway is a unique blogger template with tons of unique feature which you will not find in any other blogger template. Not only being unique it is also the first of its kind in blogger. I am genuinely delighted to read this web site posts which consists of plenty of useful facts, thanks for providing these data.